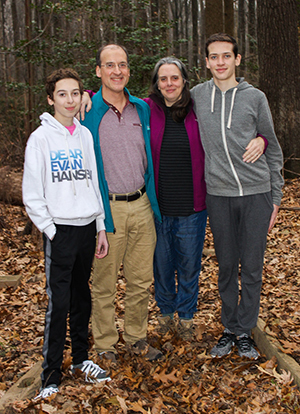 For Heidi Allen and Tibor Lazar, the love of nature is deeply rooted in their family history. Growing up, Heidi’s interest was inspired by her stepfather’s passion for hiking and canoeing in the Adirondacks, and Tibor’s love of nature and animals stems from his parents’ commitment to improving the natural world around them. 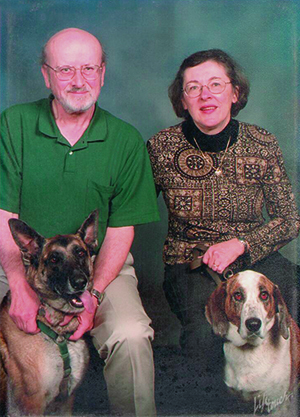 Now, this husband-and-wife veterinary team is carrying on the tradition with a generous commitment to the Fairfax County Park Foundation. 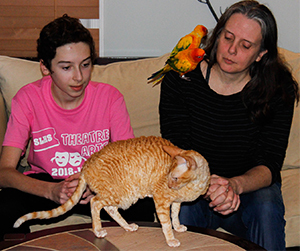 Surrounded by their sons Corvin and Keaton and an impressive array of family pets, these modern-day Dr. Dolittles recently signed an agreement to donate at least $3,000 per month for the next 10 years to establish The Lazar Family Fund. The goal is to create an endowment to support natural resource stewardship efforts on Fairfax County parkland. Heidi and Tibor have a long history of supporting environmental causes around the globe, but this contribution close to home has sentimental value. It was established in memory of Tibor’s parents, Rita and Caaba (pictured), Hungarian immigrants whose environmental legacy continues in their neck of the woods in Rappahannock County.